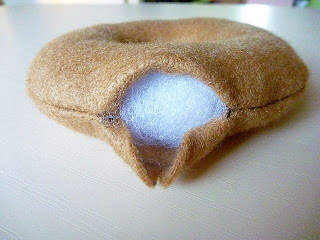 Well a little while (ages and ages) ago I promised you a tutorial for the felt donuts that I made for my boys. 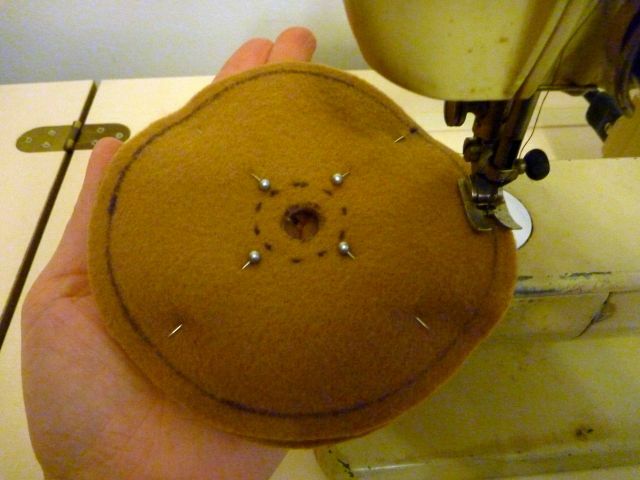 I have since had a good think about this, and there is no reason at all why you couldn't use something other than felt. That aside, I have written up what I did. This is not the only way to do it, I'm sure. It's just what worked for me. 1 sheet of felt for the cake part of the donut. A pen, pencil or something to trace with (Avoid texter, as it goes through when you sew). 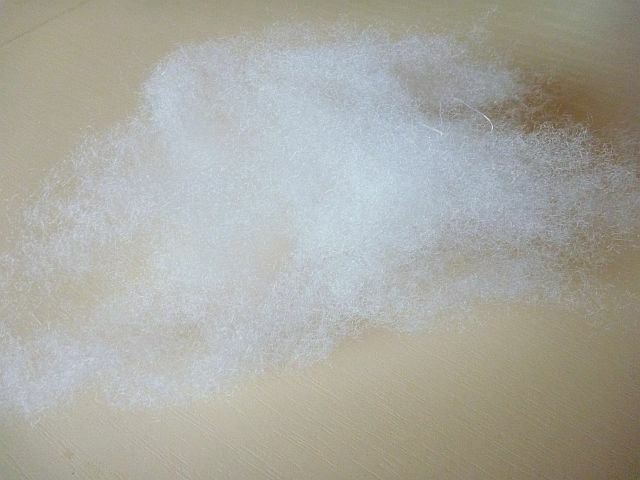 Embroidery floss in desired colours. I used 7 different colours. 1. Place a CD on your chosen icing colour (mine was pink). Trace around the outside and the inside. 2. Add approx. a 6mm snip allowance to the inner circle, followed by a wavy line on both the inside and outside edge to make your icing look dribbly. 3. Cut out icing and set aside. G-rated. 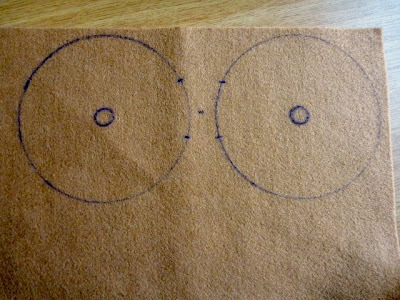 Yes these look like eyes. 5. Draw two lines 4cm apart across the outer circle on both circles. This is the area that you will use to stuff the donut. 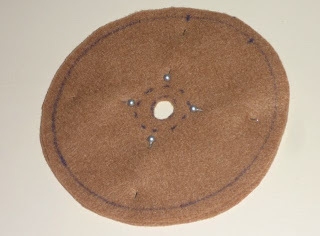 Cut outside the drawn line leaving a 6mm seam allowance. (see above image). 6. 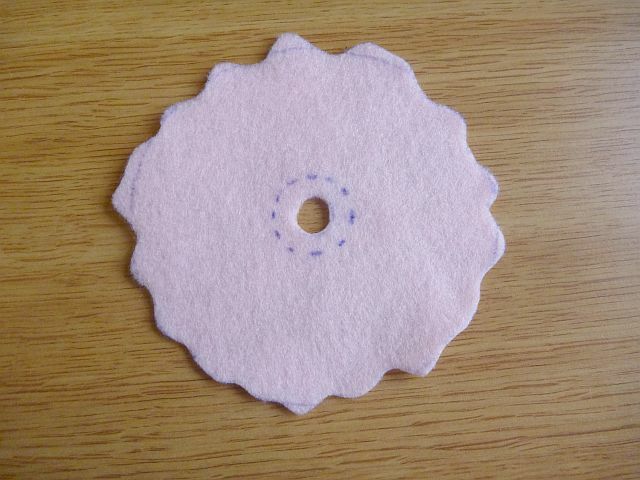 Pin donut pieces right sides together, making sure that the two lines on both circles line up. 7. Sew around the line, leaving a 4cm gap between the two lines. Back stitch at the beginning and end. Yes my machine is vintage - 1935. 8. 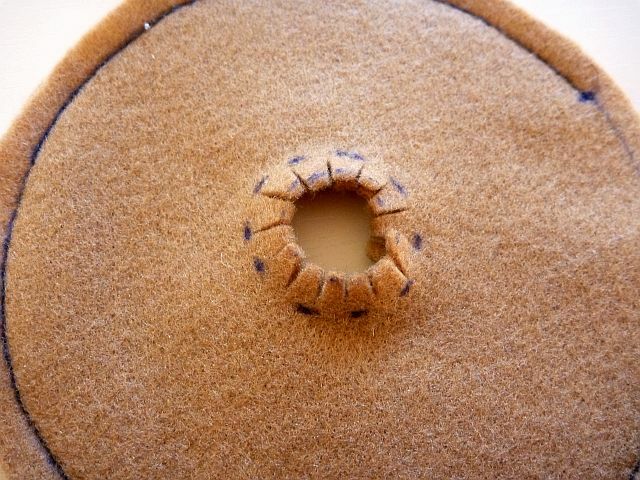 Snip curve allowances in both the outside (being careful not to cut the stitching) and the centre of donut. 9. Turn donut right side out. 10. 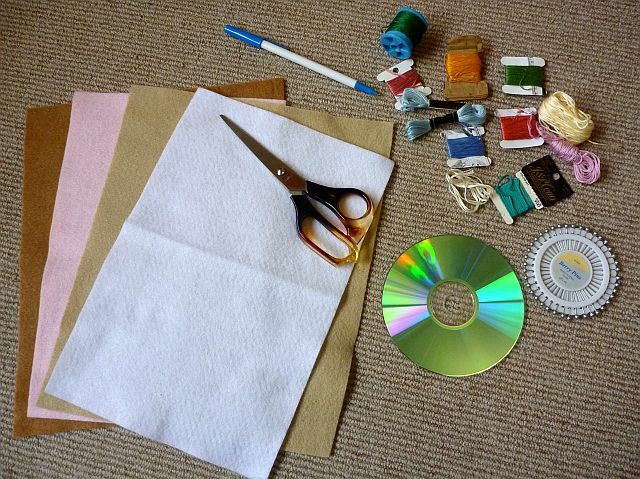 Thread your needle and knot the end. 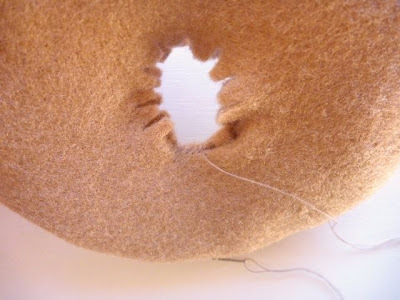 Poke a few tabs of the centre into the donut, push the needle through from the wrong side (inside) of donut, and start stitching the opening closed. I used whip stitch. I like to go over the start of it for extra strength. 11. 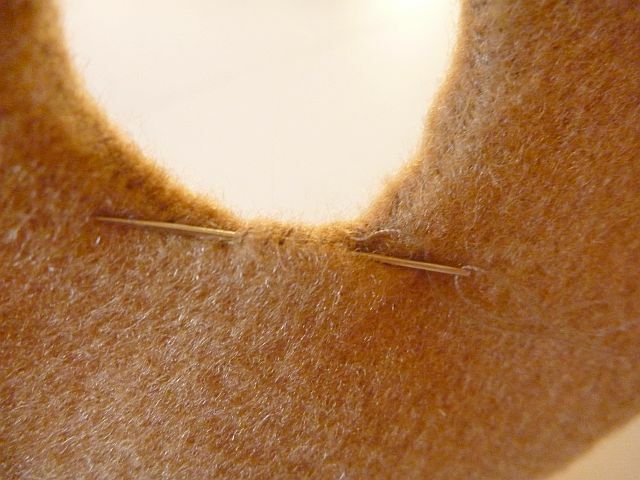 Fasten off and thread back through the inside and back out again to hide the tail of the cotton. Snip thread. 12. Using your hobby fill, stuff donut. I found using golf ball sized amounts made it less lumpy. 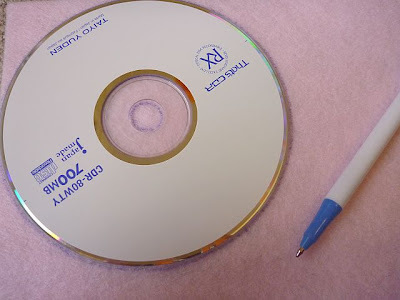 You may need a pen to get it to the bottom of the circle. 13. Stitch 4cm opening closed. 14. 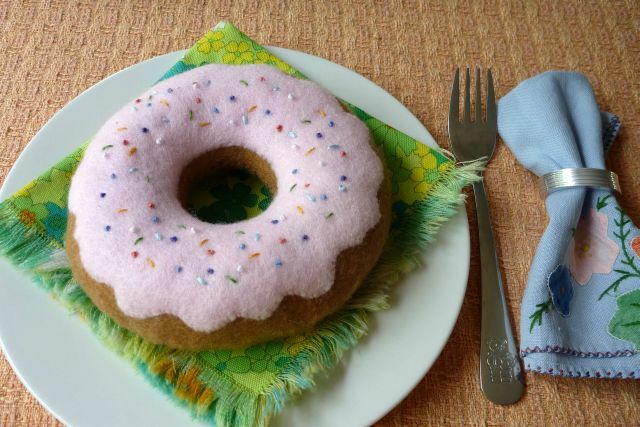 Embroider your icing. 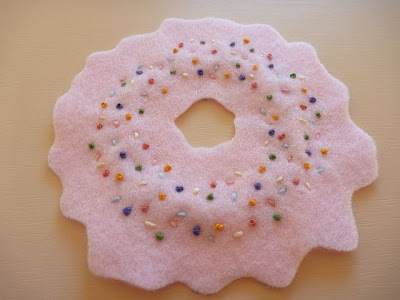 I use french knots and straight stitches to make mine look like it was covered with both hundreds-and-thousands, and sprinkles. You could also use beads, but since this is for a baby who has not long turned 1 I stayed with something that seems safer. 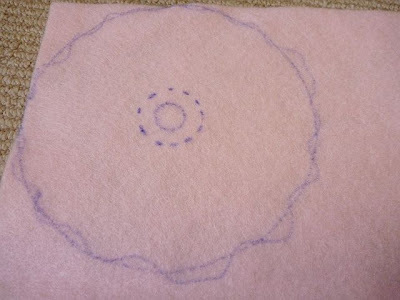 15 Place your icing on top and stitch on using same method as before. I've been meaning to have a go at making felt food for a while. Thanks'for the tutorial. that is gorgeous an d looks like something i could accomplish and also eat in one bite! Thank you so much for leaving such sweet comments on my blog! Great tutorial! I'll definitely give it a go, thanks. This looks great! I think Miss 4 could do with some! So clever and they look good enough to eat!! This looks amazing!!! How creative! Forgot to let you know I'm also your newest follower!